Managed Hybrid WAN, fully integrated on a global scale, backed by end-to-end SLAs. Unrivalled network flexibility and agility enable new ways of doing business. Leverage disruptive technology on the digital transformation journey. Managed Global VPN is a one-stop-shop for modular, flexible, globally-available MPLS and Hybrid WAN connectivity with extensive reach on all continents. Through Managed Global VPN you’ll be underpinning your digital transformation programs with a future-proofed platform, ready for SD-WAN, IoT, AI and whatever the future holds. You can choose from a full range of network technologies to meet performance needs and budget meaning you can take maximum advantage of key innovations in local markets … but on a global scale. Cloud-centric Managed Global VPN leverages both low-cost Internet and quality-of-service enabled MPLS. It provides enterprises with a flexible, future-proofed Managed Hybrid WAN. And with Direct Cloud connectivity either through local Internet access or ultra-secure, high-performance CLOUD X Fusion, we can help you ready your business for technology-driven disruption and digital transformation. Our approach is totally independent and infrastructure-neutral. This means you have the freedom to choose from an almost limitless array of connectivity options from underlying network providers in all the markets you operate in. Our teams will work closely with you to understand your current and future needs and turn this into a service that will fit your business like a glove no matter where in the world your users are based. The chances are, managing global enterprise networks is not your area of expertise. On the other hand, we have been doing precisely that, on a 24 x 7 basis for almost 30 years. We provide managed network services to many of the world’s biggest brands, giving them peace of mind to focus their resources on what’s important to their business. We can do that for you too. The Internet is ubiquitous with broadband delivering big bandwidth at low prices, and mobile & wireless Internet offering coverage almost anywhere. Managed Global VPN leverages quality-assured low-cost connectivity in 220 countries to help drive our excess local loop costs and ensure your network represents true value for money. Digital transformation in the enterprise network has come to mean the widespread use of low-cost Internet for branch connectivity … or “Hybrid WAN underlay”. 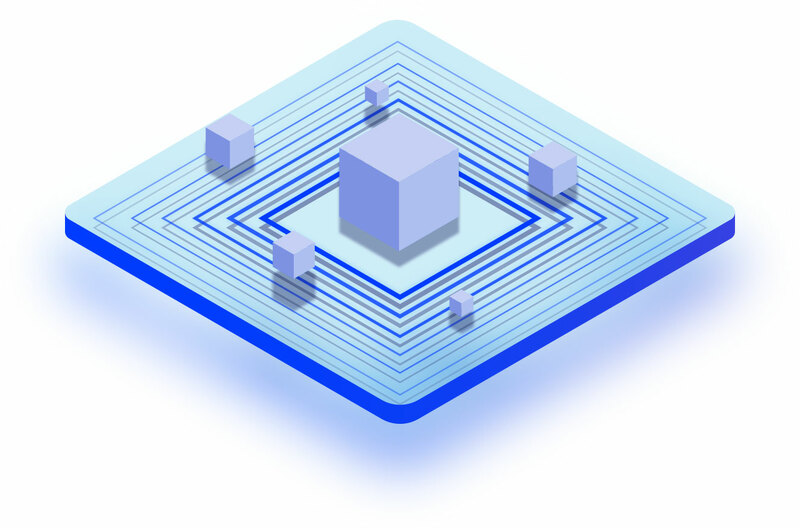 We have unrivaled experience in Hybrid WAN in the underlay network, leveraging low-cost Internet branch connections seamlessly integrated with our vast global MPLS core. By connecting users to your Managed Hybrid WAN via low-cost Internet you effectively put the Cloud into the heart of your network. Network traffic bound for Cloud-hosted servers can “break out” locally on its route to the Cloud. But if latency or security is a consideration, traffic can be encrypted and passed seamlessly into the Cloud data center via our secure high-performance MPLS network. The maxim “one-size-fits-all” should not apply to global networks. Not all users’ needs are the same and not all applications require performance guarantees. Our Managed Hybrid WAN underlay allows you to seamlessly connect small branches or Cloud-centric users with low-cost Internet and large sites with users of latency-sensitive applications via MPLS. Many enterprises are not yet ready to take the plunge on “SD-WAN”. But that doesn’t mean you cannot start to prepare the foundations. Our Managed Hybrid WAN is precisely the underlay network you will need to implement when you are ready to transform from physical CPE and appliances to software-defined networking. Why not take advantage of many of the benefits now? The Internet offers connectivity in almost any location, anywhere on the planet. We have the supply-chain and know-how for connecting branch locations to their enterprise network in more than 200 countries worldwide through an array of connection types thanks to a track record stretching back almost 25 years. No other provider can match that. Leave the management of your network to the experts. Hybrid WAN built on rock solid service foundations. Managed Global VPN is delivered through a full end-to-end managed service backed by SLAs guaranteeing delivery, availability and performance. Managing complex global networks is not your core capability so why deflect resources and focus from the fundamental objectives of your business? We have provided mission-critical Managed Hybrid WAN services to multi-national enterprises for almost 30 years with the accolades to show for it. And now we’re applying this expertise to SD-WAN. Your network is critical to your business; so why not follow suit with hundreds of the world’s most recognizable brands and let us take care of it for you. We understand what it means when users cannot connect over their network to their applications, or when a store opening is delayed because the network connection is late. We pride ourselves in the fact that the service commitments we make are precisely that; commitments. Our job is to provide our customers with a great service and peace of mind. That’s why we go to such lengths to design and provide custom-fit solutions, and then assure them with and end-to-end managed service, backed by meaningful and relevant SLAs. So unique, so outstanding is the service we provide, that our customers are our biggest advocates. For us, the managed service is the very essence of how we enable our enterprise customers; it is at the heart of our business. Many of the world’s leading brands rely upon us to provide and manage the connectivity without which their businesses cannot operate and when asked whether we do a good job, invariably answer with a resounding “yes”. Every enterprise is unique. Their locations are widespread, their business processes are custom-fit, and the way they interact with customers and partners is different to all others. And therefore our managed service is different. We believe the managed service we provide should be tailored to our customers’ individual needs; whether this is in how we interface, how we report, where we report and even whether our teams are embedded in a customer’s operations. Your business does not look like any other so why should your managed service?